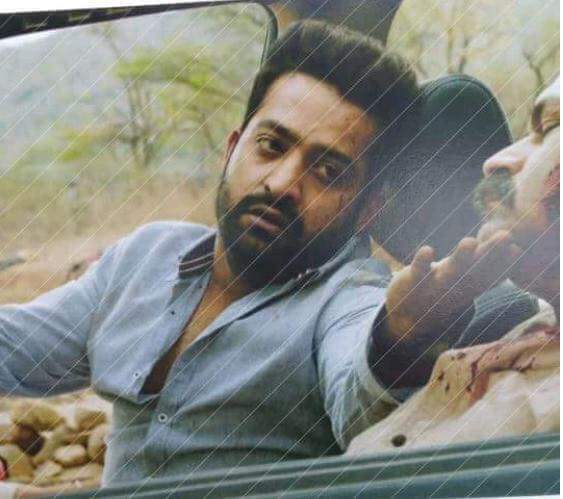 Aravindha Sametha film on location still has been leaked by film unit. The photo is going viral on social media. Fans have been doubtful as NTR collaborated with Trivikram Srinivas even after failure of Agnyaathavasi. With makers releasing first look of NTR flaunting his six-pack blown their minds and are eager for more from the film. Here’s another pic that will satisfies their palate. Going by the pic, it seems to be a intense scene where Naga Babu seems to get killed by goons and Young tiger is seen weeping. Mega brother play Tarak’s father in the movie. Pooja Hegde is the female lead of this film. Thaman scores the music.